Many people make the mistake of thinking that LinkedIn is only for people looking for a job. It actually is a terrific resource for employed people. 1) Having a strong LinkedIn profile and a sizable network on the site can make you appear as a more successful and qualified employee to your current supervisors and coworkers. It also shows your colleagues that you get “social media” and new technologies. 2) By listing your company as your current employer in your LinkedIn profile and by interacting professionally with others through the site, you personify your company’s brand in a positive way. Such a strong online presence will also impress potential customers and business partners with whom you connect on LinkedIn. 3) By joining LinkedIn groups, you can learn a tremendous amount of valuable information related to your position, field or industry through articles posted on group discussion boards. For example, I joined several LinkedIn groups involving social media to learn how to use Twitter, Facebook and other social networking sites. I joined LinkedIn fundraising groups to learn how to generate more donations for a nonprofit organization. LinkedIn features more than 1.4 million different topical groups so there are sure to be groups that can help you strengthen your professional abilities and increase your business knowledge. You can also join groups associated with your company, college, volunteer organizations, local clubs, and national associations, which can help you appear more active and engaged in your company and community. 4) You can get answers to your vexing job related questions via the LinkedIn Answers section (found under the LinkedIn More tab). For example, you can ask a business tax-related question and see responses from several reputable tax professionals. 5) If you are in sales, marketing or fundraising, LinkedIn can be a huge source of leads. It’s nearly three times more effective in generating sales leads than Twitter and Facebook, according to Rebecca Corliss of Hub Spot, an all-in-one software marketing company. 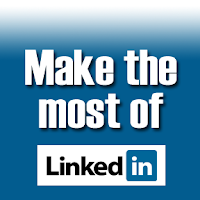 6) LinkedIn is a phenomenal place to find top talent for your department or company. Its robust job section not only allows companies to post jobs where its 175 million subscribers can view the posts, it also allows applicants to see who they know at your company so that they can network their way into the position. Plus, you can check out candidates by visiting their profile before interviewing them. For these reasons and more, 85% of Fortune 100 companies use the site’s corporate hiring solutions. Why else should employed people use LinkedIn? Share your thoughts via the Comments box (click the headline if you can't see it) or on the LinkedIn group discussion board that might have brought you here.